Moderate user-generated images, videos and comments to ensure they abide by your brand guidelines and terms of service. 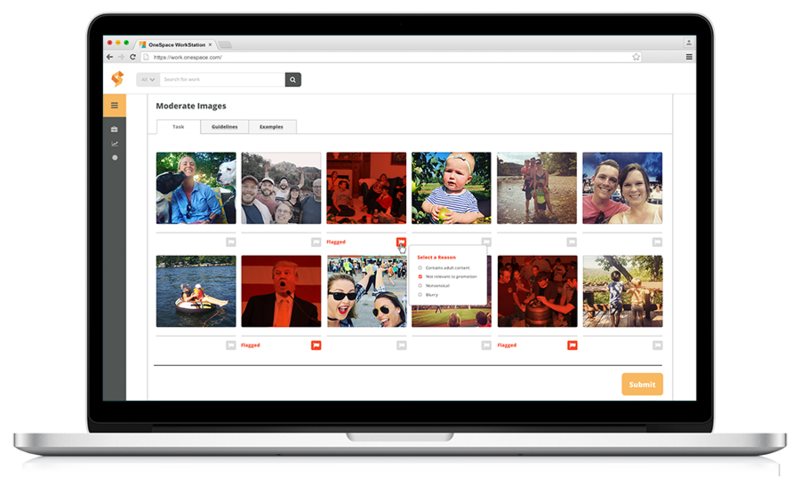 OneSpace’s experienced content moderators flag submitted media that could tarnish your company’s reputation, providing real-time results at scale. OneSpace has moderated vendor- and user-submitted content for some of the world’s leading retailers, apps and social media networks. moderated 20,000 user-submitted videos in one day. moderated 5,000 vendor-submitted images in one day. Leverage all of your user-generated assets while ensuring they meet your quality standards and legal requirements. OneSpace’s content moderation solutions give you a high level of oversight without using precious internal resources. Protect: Mitigate bullying and prevent inappropriate media. Understand: Recognize patterns in consumer or vendor submissions. Attract: Increase organic search rankings. 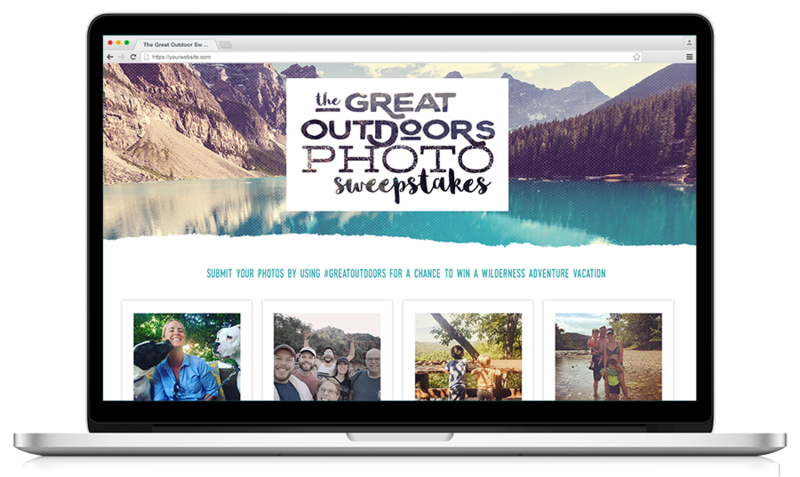 Scale: Rapidly expand user-generated content campaigns. 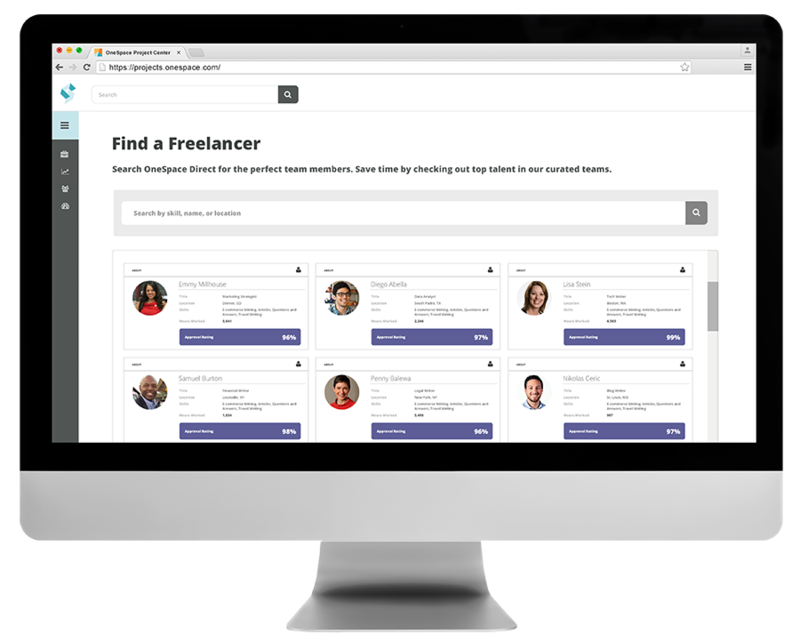 OneSpace is a workflow automation platform with a built-in network of freelance moderation and quality-assurance professionals. Every subscription comes with a robust suite of features designed to help you review digital assets with unprecedented speed and quality. Onboard your existing talent and amplify as needed with instant access to our hand-curated network of freelance content moderators. Post custom instructions to a virtual workspace that your teams can use to moderate content anywhere, anytime. Gain valuable insight into important performance metrics with real-time analytics dashboards and built-in quality controls. 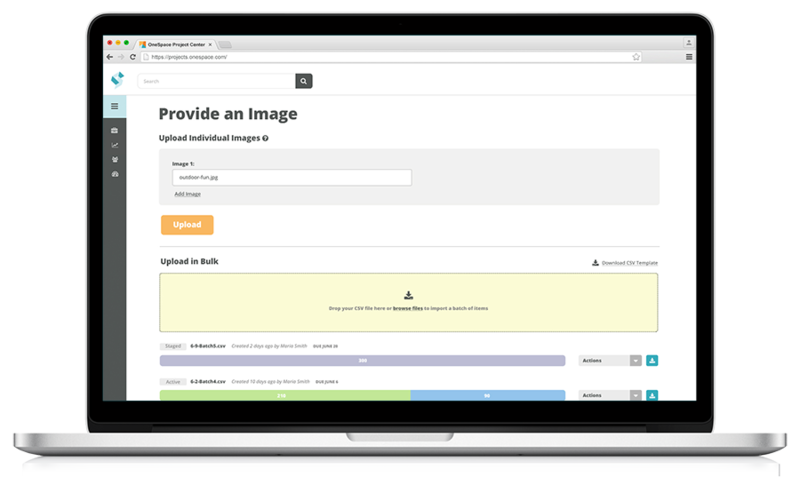 Review visual and text assets at scale while optimizing cost and velocity using our point-and-click workflow automation tools. 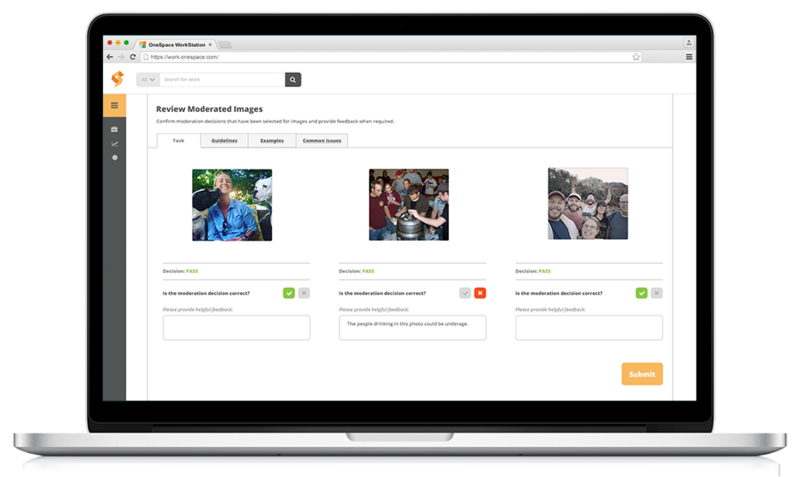 Start moderating content in minutes using OneSpace’s customizable workflow templates. Each template includes automated quality controls and instructions based on industry best practices. Moderate content before or shortly after it’s published. Provide moderators with examples of unacceptable content. Allow community members to flag items. Associate violations with users to scalably provide feedback. Supply the content moderator with a piece of content for moderation, such as a comment, image or video. A trained moderator reviews the content, determines whether it passes or fails, and provides the associated fail reason. A trusted moderation reviewer or one of your internal team members reviews the moderator’s decision. Enable our spot-checking feature to limit the amount of items sent to review. Connect to our flexible API to instantly transfer moderation results to your website’s content or database management system. Gain instant access to OneSpace Direct's hand-curated teams of freelance quality assurance experts. These video, image and content moderators work 24/7 to keep your community safe and protect your brand reputation.